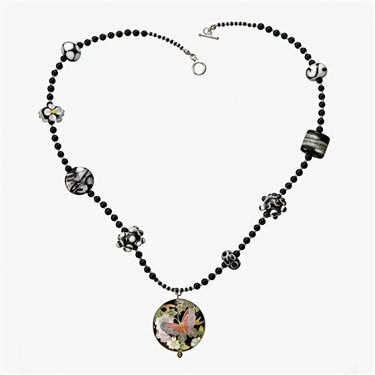 Black onyx round beads mix with a variety of Sheila’s handmade glass to complement the vintage cloisonné pendant. Findings are sterling silver. Necklace length measures 20”. Glass beads are created in the flame of a torch and fully kiln annealed.